We’ve given up expecting accountability from our politicians… but it’s time for that to change, writes Marcia Balzer. Australian voters face an imminent Federal Budget shaped by an impending election, closely followed by the election itself. The promises and rhetoric started weeks ago, and of course there are plenty more to come. Right now, New South Wales is ending its four-yearly promise-fest, only to be thrust immediately into another one. We make our choices on election day, but no longer expect that the promises we hear beforehand will become our new reality. We’ve gotten used to politicians letting us down, or not being able to convince crossbenchers to help them deliver on election promises. The community demanded accountability from financial institutions, and the banking royal commission was established. Its final report recommended extending the new Banking Executive Accountability Regime to all financial services, establishing regulation to enforce accountability in that sector. But somehow we’ve given up expecting accountability from our politicians. We’ve been let down too many times over promises undelivered, reforms destroyed by political expediency and powerful sectional interests. I think it’s time for that to change. But how? Civil society absolutely must take a leading role – civil society being all the people and organisations that aren’t part of government or business. Unfortunately, civil society tends to be made up of groups that have gathered around a particular interest, and often seek to influence governments in favour of that interest. Political scientists such as Jai Sen have observed oppressive power structures underlying our current concepts of “civil society”. Others have noticed that structural exclusion often operates as effectively in civil society as in society more broadly. In holding our governments accountable, how can civil society avoid these pitfalls? Social sector organisations have an advantage here, in that they tend to be better attuned to the need for inclusion and the presence of structural inequality. They may not completely avoid exerting power for sectional interests, but they may be more adept at noticing when it’s happening. Social sector advocates can insist on accountability as a public good in itself: Governments that deliver on their promises, build a stronger and better democracy that benefits everyone. However the key has to be focusing on the good of everyone rather than our own special circle of interest. The greater public good – “pro bono publica” – has to be the benchmark for civil society advocacy that empowers governments to make good on their election promises. 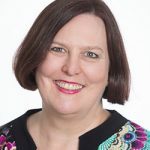 About the author: Marcia Balzer is executive director of Baptist Care Australia.